The reason I have taken on board yous Stallion SEO free plugin is because it makes a lot of sense and being not the most technically gifted person it looks easy to set up. So what is my problem duplicated meta descriptions and tags I have read all the Yoast info and Google but fail to understand how to remove the historic ones. I am hoping going forward your plugin will eliminate the problem. If anyone can help point me in the right direction it would be much appreciated. Had a quick look at your site (home page and a WordPress Post) and you don’t have duplicate meta description tags, you have duplicate OG (Open Graph) meta tags. You have the Yoast SEO OG tags and another smaller set of OG tags which I’m guessing are added by the Avada WordPress theme. The site did have duplicate social media meta data, looks like they had either two WordPress plugins that add social network OG (Open Graph) meta tags or the Avada WordPress theme also adds a smaller set of OG meta tags. Open Graph Meta Tags option under WP Dashboard > Appearance > Theme Options > Advanced Options. Google monitors the sites that AdSense ads appear on to ensure they comply with our program policies. We have identified the following violations on your sites. Please note that this represents only the violations that we have currently identified. You are responsible for ensuring that your properties comply with our policies at all times. We suggest that you regularly review all your sites for compliance. 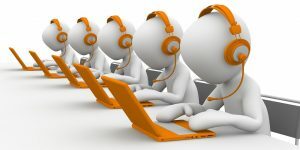 For more information regarding our policy notifications, visit our Help Center. Publishers may not implement Google ads in a manner that disguises the ads in any way. In order to maintain a good user experience, it is important for publishers to clearly distinguish Google ads from site content. This includes, but is not limited to: site layouts in which the ads push content below the fold on mobile devices; placing 300×250 or larger ad units above the fold on a mobile optimized site. I’m aware of the “Large ads above the fold on mobile” issue with Stallion Responsive, it was fixed in a Stallion Responsive update. Upgrade from Stallion Responsive 8.2.1 to Stallion Responsive 8.4 and the issue will be resolved. You should see the update available under your WordPress Dashboard. If you use a caching plugin don’t forget to clear your cache. I got the “Large ads above the fold on mobile” warning a couple of weeks back on a site that’s not very popular, the cache of some deep content hadn’t refreshed since I upgraded. The issue was Stallion Responsive was set to load the large 300 x 250 AdSense ads on some mobile device sizes. The fix was a few minor CSS tweaks to the mobile.css file so smaller ads are loaded. Switched them to the mobile specific AdSense ad sizes. Thanks for the quick feedback, David. I went to update wordpress – fine. Then attempted to update some plugins and my site went down! I am trying to recover (no idea what happened). I guess need to check your site for update to 8.4 directions. 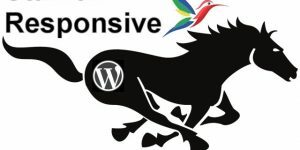 To upgrade from an older version of Stallion Responsive to the latest version should be a simple case of going to your WordPress Dashboard, hoverover the Dashboard link on the left menu, click Updates. Under themes there should be a notification Stallion Responsive 8.4 update is available. Update as you would any theme: not had a single report of this process failing. Not had any Stallion Responsive 8.4 bug reports beyond ones I’d already found: have an issue with Gravatars not being cached, will be fixed in Stallion Responsive 8.5, testing the 8.5 update on live sites now. It would appear the recent W3 Total Cache Plugin Version 0.9.5 has multiple bugs. So far I’ve updated W3 Total Cache to 0.9.5 on two of my sites (this is one of them) and I got an error when trying to upload images into a post on this site (the other site is fine both on the same server as well). Fortunately it doesn’t take the site out (not white screen) which you tend to get with PHP Fatal Errors. Though my quick manual downgrade to W3 Total Cache 0.9.4 did white screen this site, had to reupload the 0.9.5 files to get the site back online quickly. My image issue might be (not 100% sure yet) related to the W3 Total Cache Plugin Version 0.9.5 update, their support forum is filled with complaints right now. I’m still debugging my issue with the caching plugin. Going to wait for the plugin to be updated again before updating the rest of my network, from the WordPress forum it sounds like it’s not a good update. Don’t want to loose W3 Total Cache, it’s one of the few WordPress plugins I consider an SEO plugin (highly recommended). There’s an article on the site about Duplicate Title Tags and there’s a comment specific to the Yoast WordPress SEO plugin overriding the WordPress SEO Comments plugin title tags : Wrong Yoast SEO Title Tags. The WordPress SEO Comments Plugin creates unique title tags for the SEO comments pages from the comments text and the Yoast SEO plugin overwrites them all with the main articles title tags. Like I’ve said dozens of times the Yoast WordPress SEO plugin isn’t very good SEO wise, I wouldn’t use it if it was the only SEO plugin online. I’ve fixed this issue in the Stallion Responsive Theme version of the SEO Super Comments feature (Stallion Responsive does work with Yoast active without Yoast ruining too many SEO features), but not had the time to see if I can fix the free Comments SEO plugin. All my free stuff is on a really low priority, currently working on a big Stallion Responsive 8.5 update, so have no plans to modify the free plugin this year. BTW When using the free WordPress SEO Comments plugin as it doesn’t have comment titles (that’s a Stallion Responsive feature see: Stallion Comment Title plugin) to sort of match Stallion’s output, modify your comments. Add the text you want to be used as the title tag at the top of the comment. So your comment starting “Hi Carole So at the moment…” could be changed to “The Title You Want Showing Hi Carole So at the moment…”. Far from ideal, but it’s how I used to do it years ago before adding comment titles to my SEO theme. IF I had the time I’d add the comment title feature to the free plugin, but I don’t have the free time. Obviously for this to work you can’t use the Yoast plugin title tags feature. Index Home Page Only : Block Paged 2,3,4... does not work properly if your main blog posts page is not the home page. Hi there, your plugin seems great. I was skeptical at first since I really love Yoast’s WordPress SEO in general. I was *just* about to noindex all my paged blog archives since I was tired of them always showing up above real blog posts themselves in search results. But I hated the idea of losing all that link value, so I was searching for a way to use rel=canonical. Your plugin is exactly what I needed. HOWEVER when I first activated it and turned on the setting “Index Home Page Only : Block Paged 2,3,4…”, my blog’s page archives were pointing to the home page of the site (not the home page of the BLOG… which is a different page). 1) rename that setting to “index main blog page only…” vs. “index home page only…” since that’s actually what the setting is really designed to do anyway. It’s only the home page if your home page IS your main blog page/posts page. 2) fix the code in your plugin so that it works for people who have set a different page for their main posts page (not the home page). The funny thing is, when I went into your code to edit stallion-wordpress-seo-plugin/admin/class-settings.php I found the appropriate code around line 870… You already have the exact code I needed, but it was just commented out!!!?!? I’m not quite sure why, but maybe it was an oversight on your part and not intentional. :) But after I cleaned it up the code that is left works exactly right. It’s your code, so you get the credit, but I just wanted you to know since I think you should probably make these changes permanent. As proof of the issue that’s fixed by restoring the above code, see the before and after here. I was on page 9 of the blog archives and expect/want the canonical to point to the first/main page of the blog. But it wasn’t… it was pointing to the home page (not the blog). But now it’s fixed! Glad you’ve found the Stallion SEO Plugin useful. Funnily enough the reason for commenting out the code (which works fine for what you want) was I thought it was confusing keeping it in without another option explaining the difference between Home and Blog Archive. Home Page to me means the root of the site, so example.com/ is the Home page. When the commented out code was active it would go to the Blog archives page which isn’t the Home page. For it to make sense would have had to add another option: an extra tick box on that option so users can choose actual Home or Blog archive. I assumed ALL users would want the SEO benefit redirected to Home rather than the Blog archive page, so commented it out. Guess I was wrong :-) when I get back to plugin/theme development I’ll add the option. I was working on a huge update to the plugin before Christmas, was replicating the Yoast SEO and All In One SEO title tag like options and adding features from the Stallion Responsive SEO Theme so users wouldn’t need Yoast or All In One SEO (or my SEO theme) for managing title tags etc… and SEO features currently only available in my SEO theme would be in the plugin. Basically turning it into a fully fledged SEO plugin that’s better than Yoast/All In One SEO, wrote some of the tutorials etc… at Stallion WordPress SEO Plugin (near the bottom). I got distracted with setting up a new server and managing over 100 domains, so plugin/theme development is currently on hold (probably get back to it in a month or so). Currently updating the Classic Literature Library which is a huge project that I’ve been meaning to do for almost a decade! Was one of my first sites, built it using asp and txt files (tens of thousands of asp and txt files loaded as includes!!!) as I knew no better at the time! Finally moving it to WordPress one book at a time. – ability for custom title & description (obviously) on each page/post/tag/category/etc.